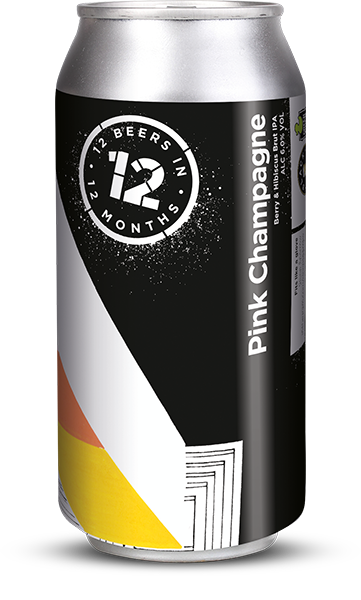 This week saw the launch of a great collaborative project we’re involved in; 12 beers in 12 months. The project brings together brewers and artists across the UK to collaborate and make 12 great beers in 12 months and is the brainchild of Paul Hughes, founder of Black Storm Brewery. Paul put in the work late last year, to be able to get the idea off the ground and turn it into a reality. Finding independent brewers across the UK to collaborate with and produce limited edition beers, one every month this year. Alongside Paul’s work, we developed the 12 Beers branding and beer can designs, and have been finding illustrators and artists with links to the various locations of the breweries (from Gosport to Glasgow) to support the project and be featured on the cans, and in marketing materials.